FRENCH REVIVAL FIREPLACE SCREEN by Accent Plus home decor, jewelry, decor, decorations, electronics, fountains, floor mats, art glass, vases, garden essentials, fireplace screens. A touch of French form will add a dash of style to your fireplace. 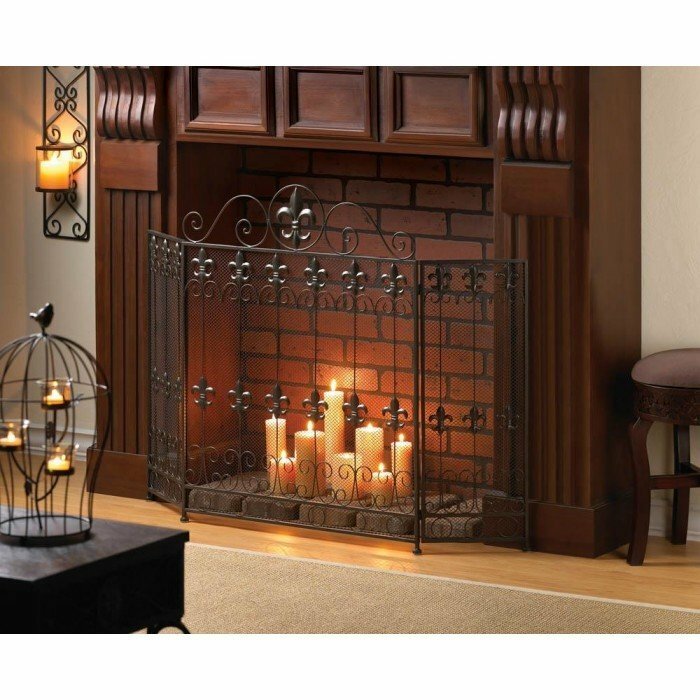 This beautiful iron screen features a gorgeous pattern of fleur de lis metal cutouts accented by scrolling designs. The top features a large fleur de lis that accentuates its continental charm. Center panel: 26 3/8" x 27" high; 33 1/4" high with top detail; each side panel is 10" x 27 1/4" high.